MacroMania: Is the ZLB an economic or legal constraint? Strikes me a fundamental question here is: what’s the optimum amount of interest on state liabilities (i.e. 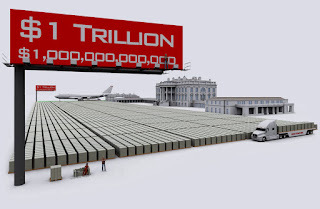 base money / government debt)? 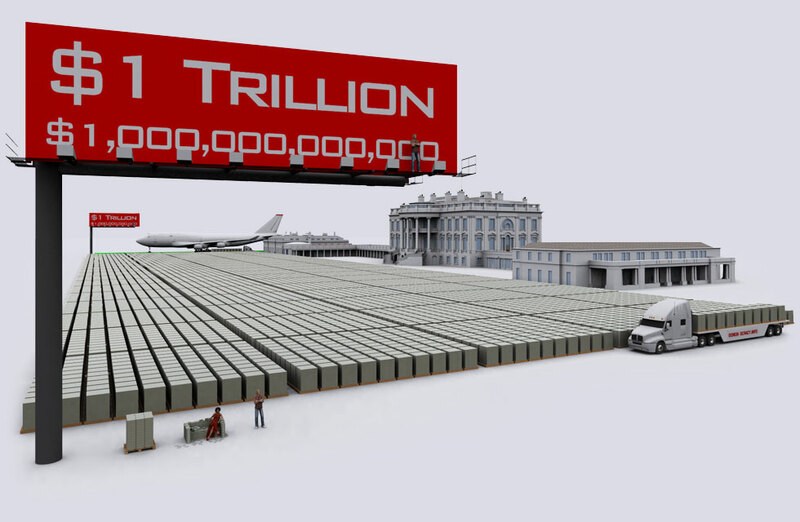 Milton Friedman claimed there should be no government debt: i.e. the only state liability should be zero interest yielding base money. Warren Mosler argued likewise. One argument there is that if too much base money issued, the state then has to borrow some of it back at interest so as to damp demand. But that’s an entirely artificial rise in interest rates: the result is that taxpayers have to pay interest to those who want to hoard money. That doesn’t make sense. 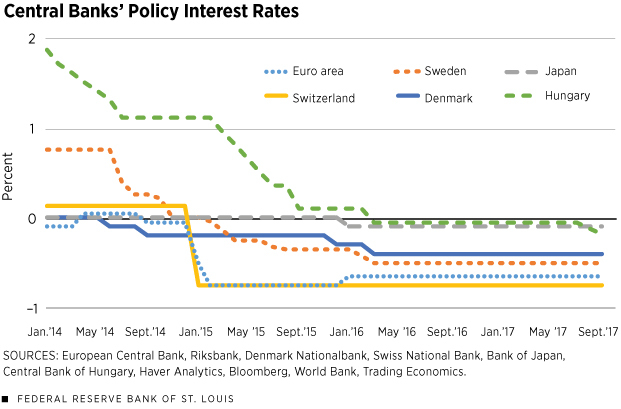 At the other extreme, an INADEQUATE amount of base money means deficient demand, which means the central bank cuts interest rates to perhaps a negative number. Effectively that’s the same as taxing people in proportion to the value of the dollar bills in their wallets and purses. That is absurd because the REAL COST of supplying them with what they think is their optimum number of dollar bills is zero. Ergo the optimum rate is zero. I’ve ignored the fact that commercial banks can lever up state issued money, but I suspect the latter “zero” conclusion holds anyway. I do find it interesting that both Friedman and Mosler advocate for zero nominal interest rate policy. I'm pretty sure the rationales are quite different. For Friedman, the argument hinges on the existence of zero-interest cash. In this case, any positive rate of interest on (say) safe government debt is inefficient. What's important here, however, is the rate of return differential. If money could earn interest, the Friedman rule simply says to equate returns. Also, the resulting interest expense is usually modeled as being financed through a primary budget surplus. For zero-interest money, the surplus is used to destroy money to create the requisite deflation. Fascinating post. Many reasons are mentioned why we should try to never even get close to ZLB, as a matter of good policy. I think this post is correct in that negative interest rates, if persisting, will generate even larger cash balances in the US where there is already more than $5000 in circulation for every resident. Disintermediation? What happens to endogenous money creation if banks are losing deposits and shedding assets? Really, is forcing banks to pay 10% interest on reserves to the Fed a viable policy? Is it advisable to strong-arm banks into making loans? Larry Summers says we are entering an era of secular stagnation which can only be counteracted by less austerity, that is larger fiscal deficits, although he shies away from MMT. Summers has squeezed himself into that zone between a rock and a hard place. I think the only solution going forward is money-financed fiscal programs. Why should taxpayers borrow money and encumber themselves when they can just print money and stimulate the economy? Banks would have no reason to alter their lending practices if they could borrow reserves (which they can). 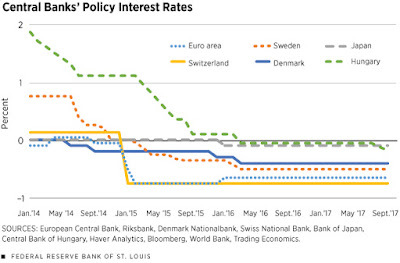 The relevant interest rate here is the discount rate (or the repo facility for the ECB). There is nothing, in principle, that prevents this lending rate from also becoming negative. As for money-financed fiscal expenditures, this is largely what we have now. What is important, in my mind, are the uses to which public funds will be put and the regulatory environment that would permit the private sector to flourish in a manner consistent with broader social goals. Easy to say, of course. Difficult to implement. But we should at least try moving in the "right" direction, and consider altering direction as circumstances change. Bu I do not understand the above sentence. You mean QE+federal budget deficit=money-financed fiscal program? Michael Woodford sorta says so, too. So, if you can be paid for borrow, what do you pay for property? Can banks survive (see present-day Japan. They are crying). As banks are the ones who create money (the endogenous money supply) like it or not, do we have to pander to banks? On the use of public funds, that is another topic. There is a carnard that deficit spending=social welfare waste. But one could just as accurately posit that federal borrowing funded the $7 trillion spent in Mideast war efforts since 2000. Money is fungible. I think the key is money-financed fiscal programs to boost aggregate demand, but not run up huge federal debts. I would prefer tax cuts to get us there (not more spending of any kind), even a holiday on FICA taxes, offset by QE-purchases of Treasuries placed into the SS trust fund. At least in the US the ZLB has not been tested either legally or economical. First the Fed never lowered the Fed Funds rate to zero AND paid interest on reserves. But of course the Fed has not tested symmetric inflation rate targeting either.